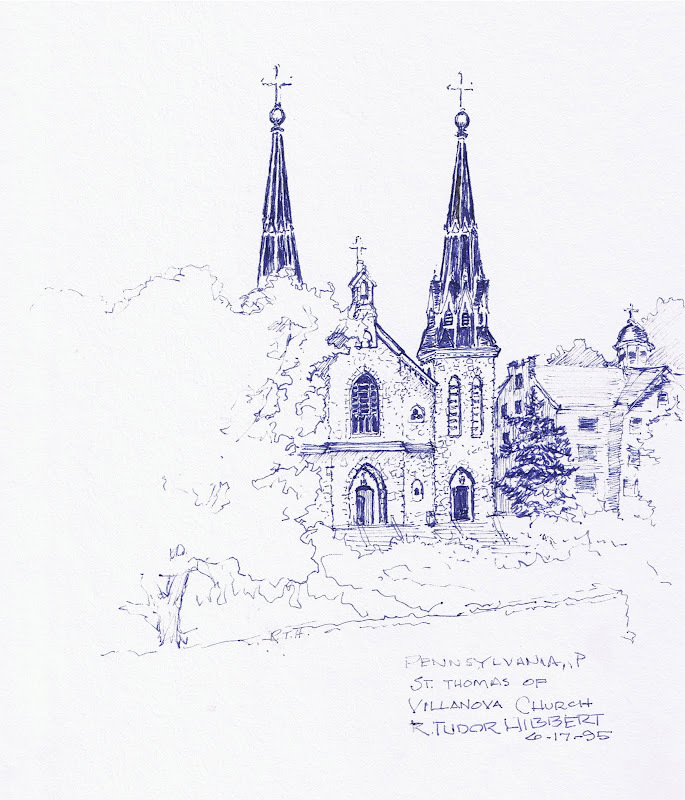 Sketch in blue ink of St. Thomas of Villanova Church. 6/17/95. From a series of sketches done to commemorate weddings and given as wedding gifts.